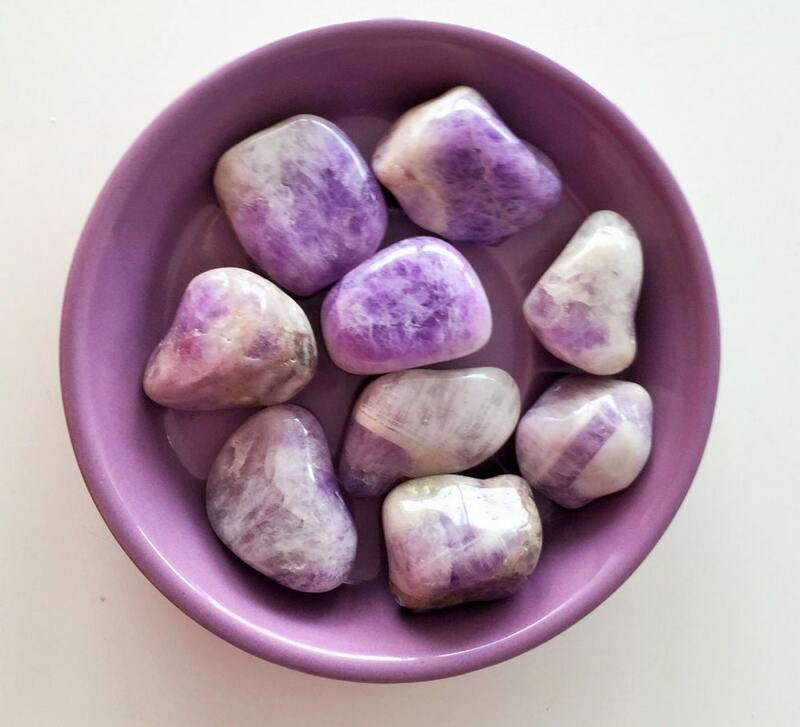 These 10 beautiful chevron amethyst tumbled banded stones! 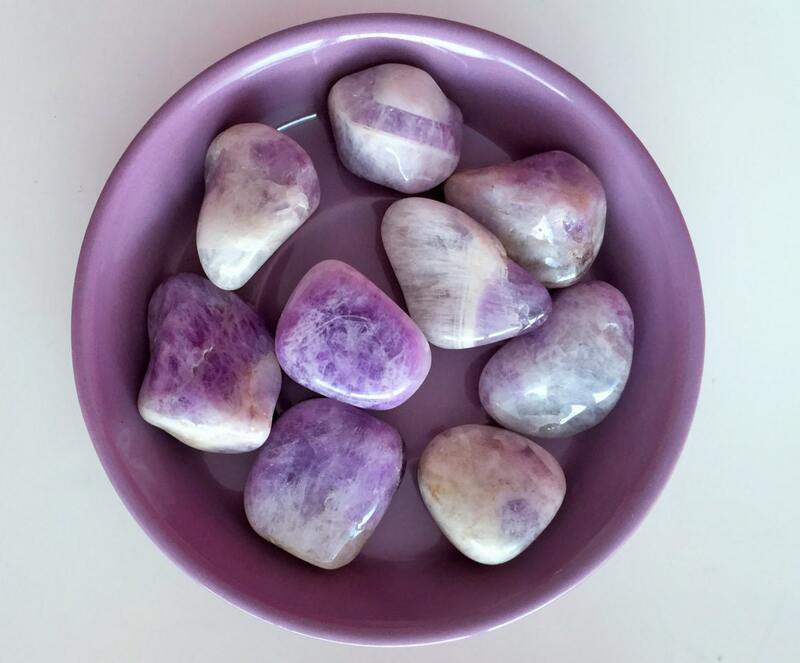 These beautiful amethyst tumbled stones are hand-polished using 100% natural crystals. These are called "banded" or Chevron Amethyst because they are purple mixed with white in either stripes, chevrons or swirls of color. They range from dark purple to pastel lilac, alone or in combinations. 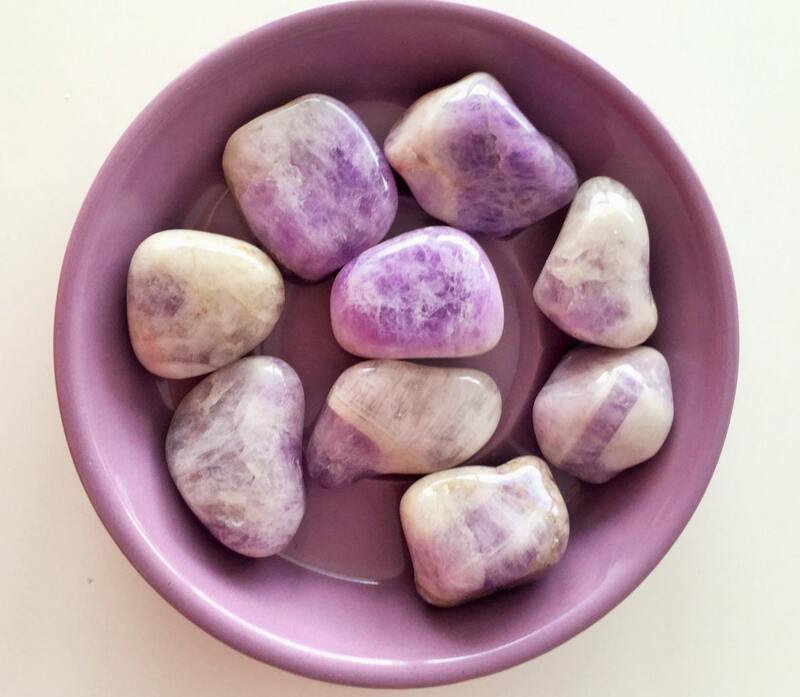 You will receive 10 Crystal tumbled stones similar to the ones in the picture. ****Size: 1 inch in length. Amethyst has many metaphysical properties. Add them to a medicine bag or grid, place them on an altar, use them in a crystal elixir, fashion them into jewelry or simply carry one in your pocket.